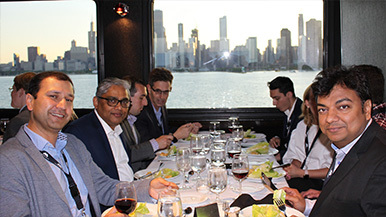 Our First Annual Customer Summit, June 4 and 5, 2018, took place in downtown Chicago, at the University of Chicagoâ€™s Gleacher Center, and included a luxurious dinner cruise on the Lake Michigan. We owe a heartfelt thanks to our customers for making our first summit a grand success. Rather than â€œdeath by PowerPoint,â€� we focused on organizing a lot of panel discussions as well as helping our clients roll up their sleeves and tackle difficult problems that many of our customers are facing today. 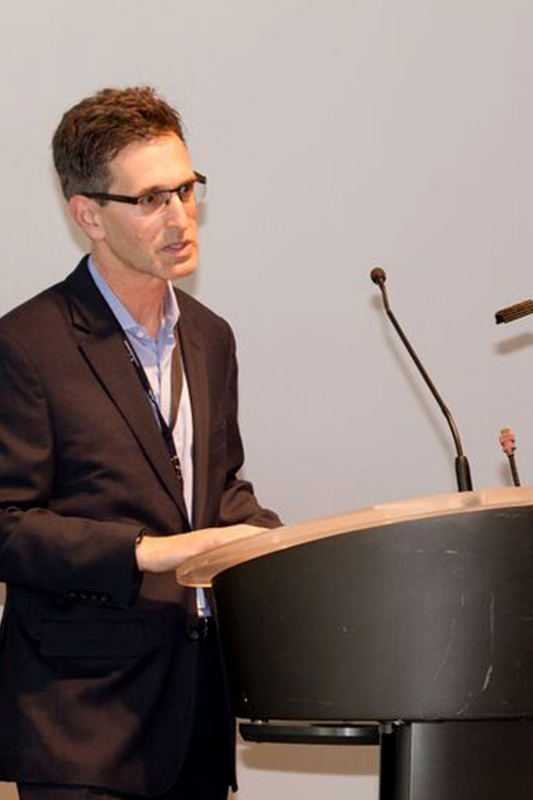 The topics of the sessions drew from a mixture of both pragmatic as well as visionary topics. To support this format, we also made the event more exclusive. For our first summit we capped attendance at 50 people and we ended up with a waiting list! Over 35 companies were represented. The summit kicked off with an animated and insightful presentation by Rob Pearlstein, Head of Business Development at SRI on what an innovation cycle really looks like, the perils to going to market too early and the art of delicately balancing research and market needs and navigating the "Valley of Death." 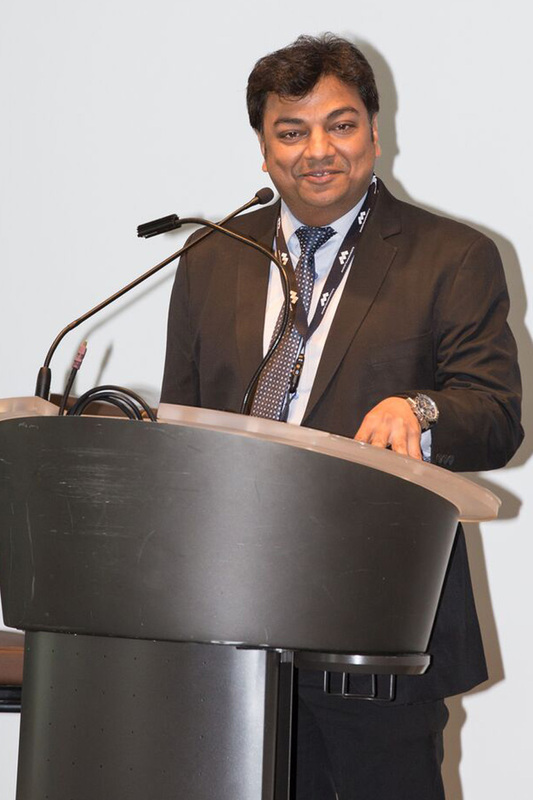 The session focused on stories behind famous innovations like the mouse, Electro-adhesion, Siri and other cutting edge technologies of their time. The most interesting take-away for the session was the fact that sometimes we need to open ourselves to the possibility of our innovation, finding uses in unexpected places. 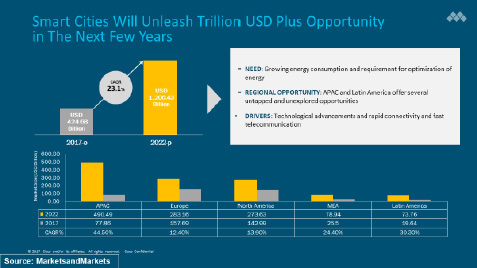 Our first panel was about how emerging and disruptive trends and opportunities dictate that the revenue mix of companies are in constant flux -- what might constitute 10-20% of today's revenue will take a lionâ€™s share in the next 5-10 years. To survive and flourish, successful companies will need to ascertain where to place their bets with limited or no information. In other words, they have to deal with both the known-unknown and the unknown-unknown. We then explored the concept of B2B Marketplaces which have struggled to bring together sellers and buyers simultaneously. While there are plenty of sources that offer unbiased customer reviews in the B2C world, a similar marketplace for B2B does not exist. We discussed what information is hardest to come by to develop such unbiased reviews and innovative ways to gather such information. 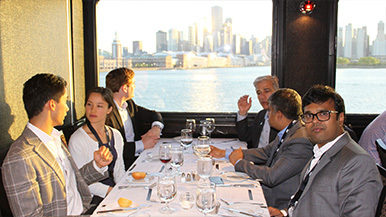 To finish the day, we took a relaxed luxury cruise on the waters of Lake Michigan. 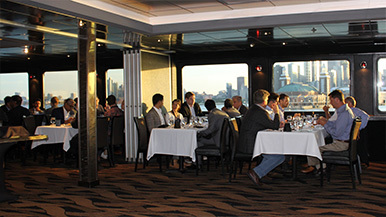 The cruise provided stunning views of the Chicago skyline against the setting sun forming a perfect setting to unwind after an afternoon full of exciting brainstorming. On Day 2, we continued with our interesting dialogue on connected markets and realizing revenue impact. Our first presenter really wowed the audience! 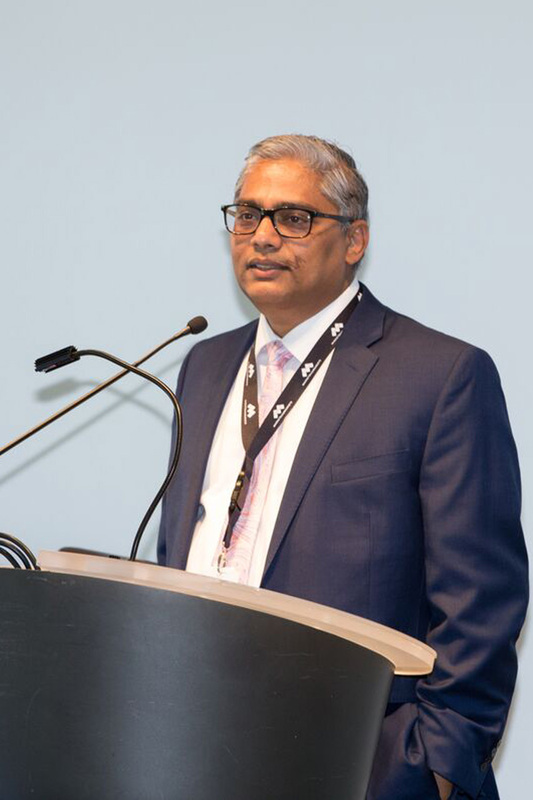 Munish Khetrapal, Managing Director , Solutions for Smart + Connected Communities at CISCO discussed what was going on around Smart Cities and what a phenomenal market that is arising from this latest initiative. Then we deliberated on why it is important to not only understand how emerging trends will impact your business; but also what will affect the business of your clients and your clients' clients. 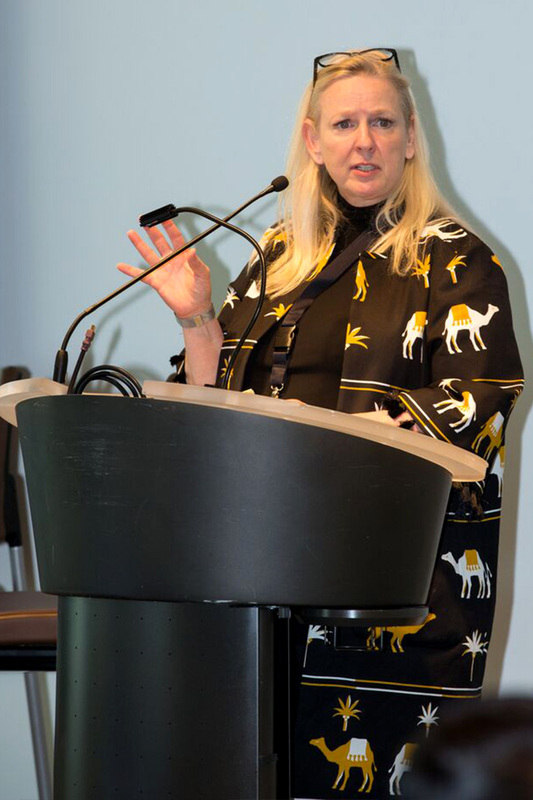 We were then treated by a presentation by Jennifer Dukarski, Chief of Autonomous and Connected Vehicle Group, at Butzel Long, who focused her session how Law and Technology should go hand in hand. The audience quickly got up to speed on a number of topics including Privacy, Product Liability, Cyber Security, Ethically Aligned Design and Data Ownership. 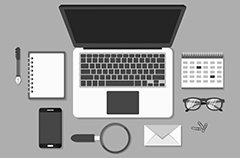 â€œWhat are characteristics that define leadership and success in adoption of new technologies and emerging trends?â€� and â€œWill the size of legacy companies make them less nimble to drive new changes? 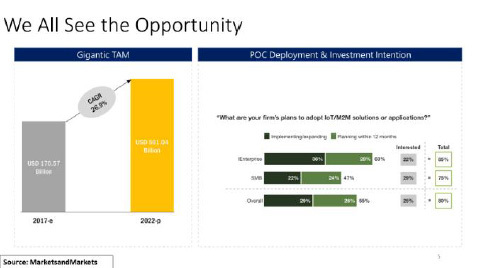 How can they make up for the potential lack of agility?â€� We concluded that understanding new markets and use cases would be key for either startup or large organizations to dominate in emerging growth areas. The final presentation was given by Phil Koretz who heads up product marketing for IoT at Microsoft. Phil presented a number of new concepts from Microsoft around IoT and got us all very excited about how this latest technology is revolutionizing the way we do business.